We’ve released two more training movies, one for the Debt/Credit editing window, and one for the Invoice Editing window. 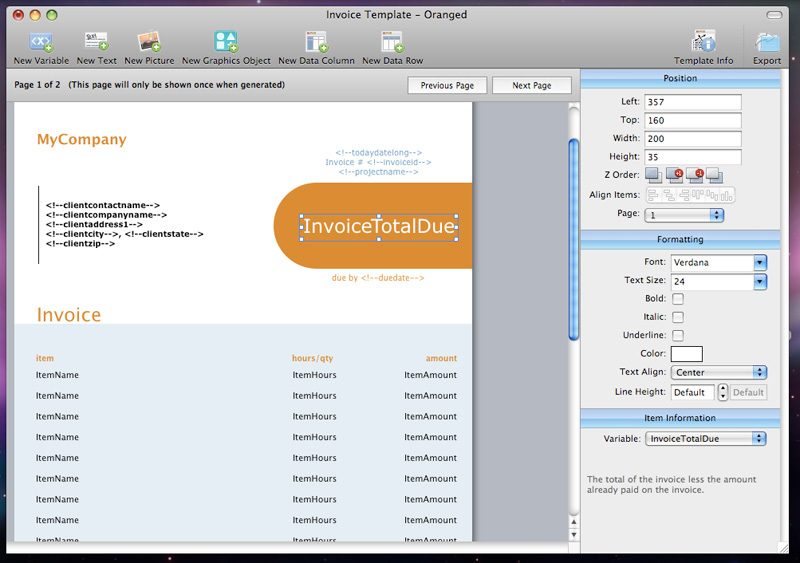 Studiometry 7 makes many large improvements to our powerful Invoice template and Report template system. If you’re not familiar with the system, Studiometry has customizable templates that are filled with invoice, contact, and other information when you want to deliver an invoice to your client. 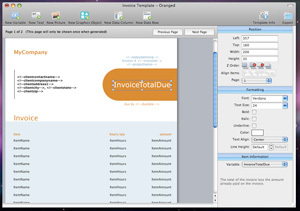 Studiometry has a WYSIWYG visual template editor that lets you place onto a page elements and variables that will later be replace with actual invoice data. 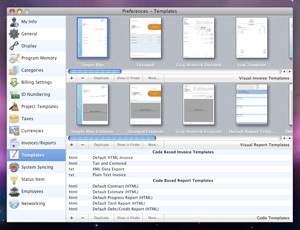 Our visual template editor has been around for a while, but it’s never been this easy to use. The template editor’s properties window, used for modifying items on the template, is now integrated directly into the template editor window. 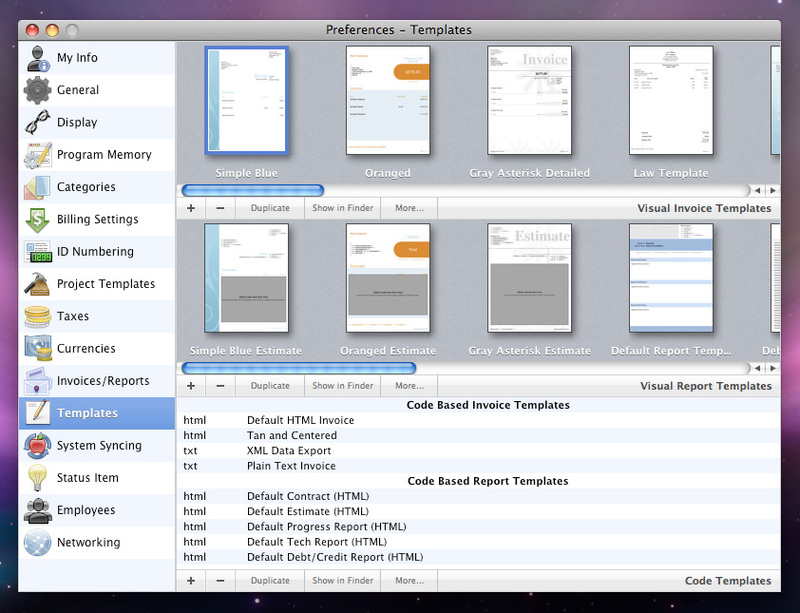 This makes modifying invoice templates MUCH easier. 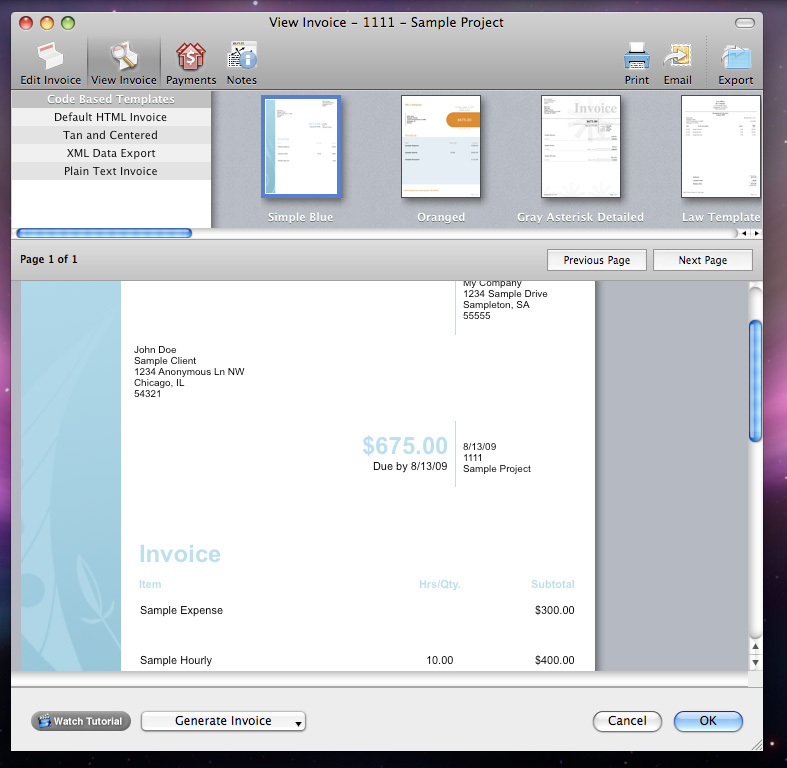 Numerous new variables and data types give you more power over what you can show on your invoices and reports. You can now modify multiple items simultaneously. Previously only size and positioning could be modified for multiple items. Higher-quality image saving. Images are now saved into high quality PNG format, preserving transparency as well as quality. Huge performance improvements when editing complex templates. In addition to the template editor improvements, we’ve also added mini previews of your invoice and report templates in more areas. The preferences window will now show all of your visual templates in (quite appropriately) visual form, instead of a list. Also, not only can you now view invoice output DIRECTLY in the invoice creation window, you can also view mineature previews of all of your templates and see your invoice with any template with only one mouse click. Studiometry 7 is a HUGE upgrade, which we’ll be releasing in early September. Shortly after that, we’ll be releasing our iPhone companion program as well. A lot is going on here at Oranged software, so be sure to subscribe to our Blog or follow us on Twitter. Also don’t forget that all purchases of Studiometry made in August are eligible for a free upgrade to Studiometry 7 when it is released! Studiometry 7 has many updates to the Project Planning aspects of the program. You can now link your To Do items to your GANTT chart to have progress automatically update based on completed To Dos. On top of this, Studiometry 7 now has Project Stages, which show the progress of a Project from start to finish. You can link your GANTT and your To Do items to your Project stages to have Studiometry automatically update your Project’s planning information every time you mark a To Do as complete. We’ve made another helpful training movie previewing a Studiometry 7 feature. This movie is an overview of Groups.